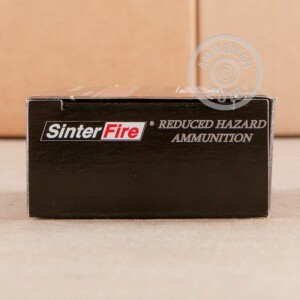 SinterFire Reduced Hazard Ammunition is a great choice for high quality training at the range. These 223 Rem rounds are loaded into factory fresh brass cases that are boxer primed and re-loadable. Each projectile in this box of 20 is a 45 grain frangible that exits the barrel around 3,100 feet per second. These frangible projectiles are composed of a copper/tin composite material and undergo a heat treatment process. The ammo performed flawlessly and helped with our training. I purchased and utilized 100 rounds at an indoor range and this ammo performed flawlessly and helped to facilitate training. 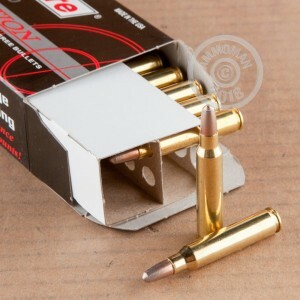 It would be great if we could get this ammo at bulk rate pricing similar to what you have for 5.56 PMC ammo.